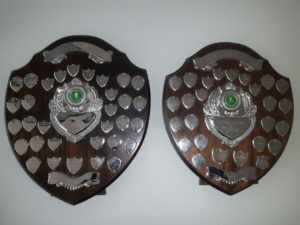 There are a number of club races held each year, with the Club Road Championship and the Club Cross Country Championship sorting out the men from the boys and the ladies from the girls. 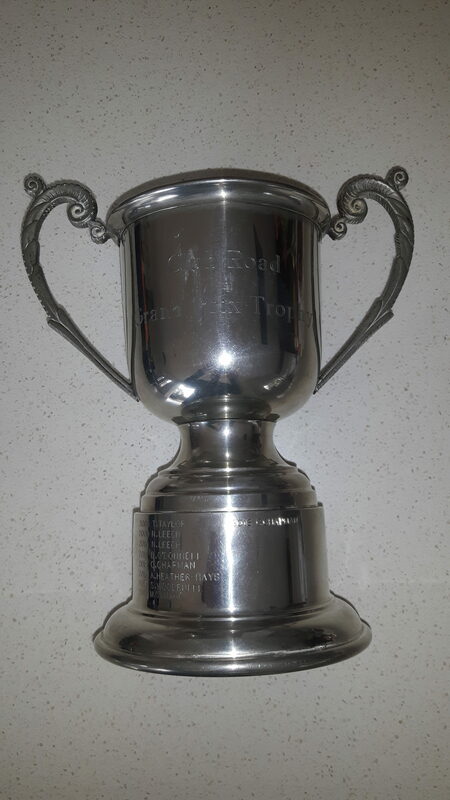 To keep the legs ticking over on those long summer evenings, the Summer 10K Handicap Series is always a favourite, with the winner being awarded the much sought after Speldhurst trophy. Throughout the year, results of all Kent Grand Prix events are collated to award an age and gender graded Club Grand Prix Champion. But it’s not all about competing, with many social runs and social events held throughout the year. The annual club dinner gives the chance to see your fellow Harriers scrubbed up and a chance to acknowledge the achievements of the year. There are a number of hash runs, on Ashdown forest and further afield. Summer BBQs, winter fish and chips and curry nights all make sure that it’s not all work and no play. 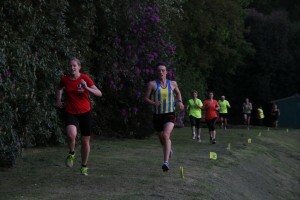 The Harriers organise a four race handicap series each summer over a course of 10 kilometres on the roads near the clubhouse. Each member is given a handicap time — faster runners have a bigger handicap, meaning that everyone is running more or less on equal terms. 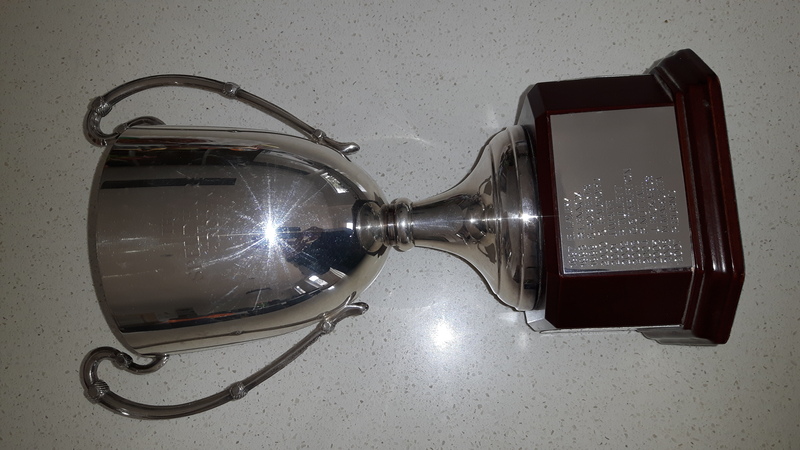 The best handicap results over at least three races decide the series winner, who wins a trophy donated by Paul Eames, Peter Gander, Eddie Lyons and past-Chairman Jacques Courivaud – a group of Club members living in Speldhurst. Handicaps will be adjusted each month to reflect runners’ current performance. The first runners go off at 7:20pm. The start for the 10K course is on Forest Road at the junction with Forest Way (turn left at the top of Warwick Park, and it’s the first turning on the right). 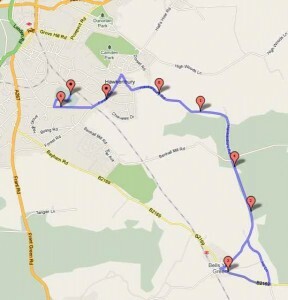 From there, the course route goes down Hawkenbury Road towards Bells Yew Green. After Rushlye Farm take the left turn and proceed clockwise round the “Bells Yew Green triangle” (face oncoming traffic on main road) and back on to the Hawkenbury Road. Return to Hawkenbury and Forest Road (as per the Club Road Champs). Turn left on to Forest Road and cross over when safe to do so before Warwick Park. Turn right down Warwick Park and into Nevill Gate. Enter car park, turn right and then follow flags behind cricket nets to finish. Each race has an official start time of 7.20pm. Individual runners start at pre-announced times calculated from their expected times to run the course and an anticipated finish time of 8.30pm. For example, if a runner is expected to take 48 minutes to run the course, their start time will be 48 minutes in advance of 8.30pm, ie 7.42pm. If the handicapper has rated everyone accurately, and everyone runs to their expected time, the whole field will cross the line in a blanket finish! The handicap organiser will send out a list of start times a few days in advance of each race through the club email group, and we will endeavour to publish that list here too. If you are a newcomer to the Harriers and have not run the race before, then please contact the handicap organiser who will give you your handicap and start times. The club road grand prix is designed to encourage Harriers to race more often, and on equal terms with all other members as the results are adjusted for age and gender. Each race of the Kent Grand Prix counts towards our club road grand prix. Every time you race, you are awarded a percentage result based on your finishing time, your age and your gender. This percentage is calculated according to the WAVA scale. At the end of the season, your final score is the average of your best five percentages over the series. Contact Geoff Turner if you have any queries about the Club Road Grand Prix. The Club Road Championship is run over a set route around a 5.5 mile loop, from the Frant Road end of Forest Road, via Bells Yew Green and Hawkenbury. The club event is open to all Harriers – you don’t have to be in contention to win it to run it. Just turn up on the morning and enjoy the annual club road run. Age category winners enter the TWH history books (see below for previous champions), with trophies awarded at the Club Dinner and Awards evening. 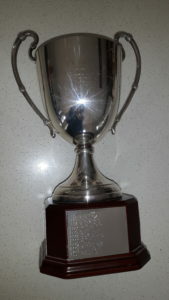 The Club Cross Country Championship race is held annually in Hargate Forest towards the end of the traditional cross country season around March. The event is held over 3 laps of a testing 1.8 mile circuit, giving a total race distance of about 5.4 miles and plenty of opportunity for spectators to see the race. The hilly route takes in areas of heathland and mature coniferous forest, and includes a stream crossing — Sprat’s Brook — and several very muddy areas. One part of the course where the long straight of Broadview meets the Old Carriage Way is usually so waterlogged in early spring that it has become known as the ‘Canal Turn’. The nature of the terrain is such that shoes with decent grip are recommended, with fell shoes or spikes being most widely used by competitors. The route is always clearly marked with yellow flags for the entire distance, and with arrow markers at each turn there is little opportunity to lose your way and go off-course. The main entrance to Hargate Forest is at the western end of Broadwater Down close to the junction with the A26 Eridge Road. There is ample parking in Broadwater Down, but please park as close as you can to the entrance to avoid the wrath of local residents. From the entrance, the start area is located in a large turning circle about 400 metres southwards along the forest track. 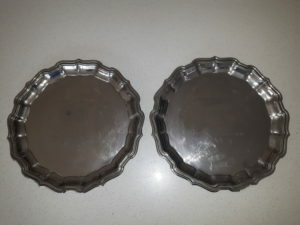 Silver salvers are awarded for each of these categories at the Club Annual Dinner Dance and Prize Presentation. The first Club Cross Country Championships were held at the end of the 1999-2000 season. In 2001, the race was postponed due to the outbreak of Foot and Mouth disease, but restrictions that had been imposed on access to the countryside were lifted in time for the event to be held in the autumn. The course records are held by Mark Taylor (men) and Alice Heather-Hayes (women). Hargate Forest is used for our annual championship race with the kind permission of the The Woodland Trust. The site was acquired by The Woodland Trust in October 1996, having previously been part of the Nevill Estate. The purchase was assisted by a grant from the Heritage Lottery Fund and a very successful local fund-raising campaign organised by the Friends of Hargate Forest. The Forest is owned and managed by The Trust — details of their management plan and the forest in general may be found at the Hargate Forest website. The Annual Spring Party is a not to be missed event. Open to all Harriers and their partners, it’s a chance to socialise, eat, drink and dance without wearing the usual lycra! New Harriers are most welcome. 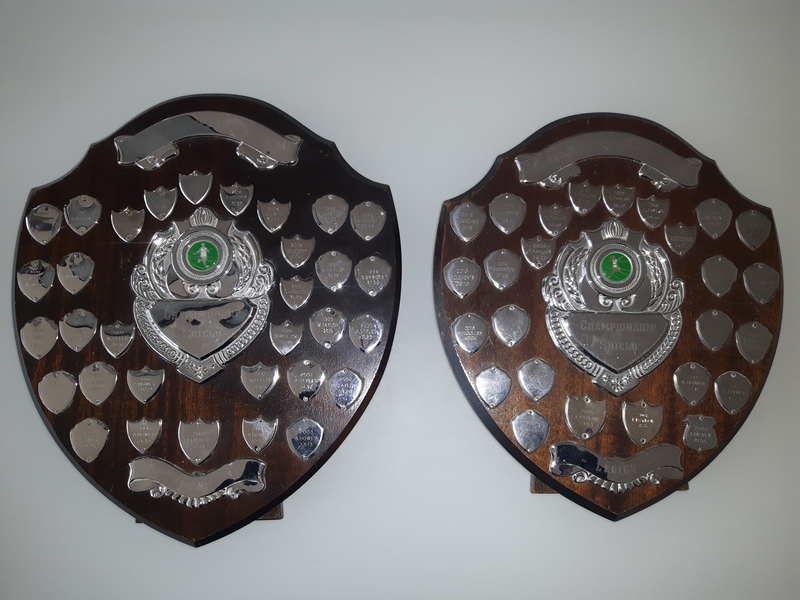 The club’s awards are also made on this night, the ‘Man versus Horse’ award, the Club’s road and cross country champs and the prestigious ‘Cornel Medal’, to name but a few. A relatively new addition to the Harriers calendar, the mid summer ultra has something for everyone. A great, leisurely off-road run, choose how far you want to run, could be 10 miles, or over 30, and enjoy! So far we’ve run from Hastings to Tunbridge Wells, and also done the Tunbridge Wells Circular. Start with a hash through the beautiful countryside with off-road distances to suit everyone, including walkers, followed by a delicious BBQ relaxing in a garden. A lovely day out in the Harriers calendar, families welcome. Join your fellow Harriers for a night of delicious Indian food & fun. We quite often take over a local restaurant, which is probably a good thing given the now legendary ‘Bengal Brassiere’ competition! Partners welcome. Always at the beginning of December, a superbly organised long and short ‘hash’ starting from a location revealed close to the day and ending up at a secret and well-researched hostelry for lunch. Partners & families welcome, as are walkers. The usual Wednesday club night and run are transformed for one night only for Christmas! The ‘Christmas Lights Run’ takes in the best of the festive lights of Tunbridge Wells, followed by a festive fish & chip supper in the Club House. We have a secret Santa pressie giving – bring a wrapped gift (suitable for male or female, £5-£10) for Santa to give out. And it that’s not enough, the Club’s London Marathon place ballot also takes place on this night. The perfect way to get rid of the over indulgence from Christmas day. See the events page for details. A post Christmas hash on the Ashdown forest. See the events page for details. Start the year as you mean to go on – running and socialising with your fellow Harriers. See the events page for details. Each year the club undertakes a tour of the most outstanding scenery our country has to offer. A different National Park is selected with a well chosen base, and a long weekend made of it. Most Harriers start out on the Friday with a leisurely journey to the accommodation, perhaps with a meeting at a select pub on route. A short late afternoon run takes place to gain the necessary bearings, with a long run on the Saturday, and a farewell Sunday morning trip out before the journey home. Extensionists add a day or two on either side of the main trip, as usually there’s much to see. Each run is carefully researched by a team of willing helpers in the weeks and months prior to the tour, so various lengths and walking options are available. The refreshment venues are thoroughly researched to ensure they are up to standard, as the pub meals in the evenings play a vital role in immersing the club in the local hospitality. All the joys of a beautiful city marathon, weather wasn’t the best. A wet and windy jaunt in Italy and the first marathon for some. Dubbed the greatest marathon in the world and the one with the most medical staff per runner, this is the most French race you will ever visit in your life and one that all should experience at least once. 24 wine stops over 26.2 miles through some of the most expensive land and estates in the world, 4500 people in fancy dress, live music and stonkingly hot weather. What more could you want? Enjoying every stop and finishing in exactly the 6.5 hour time limit is a must! After a successful trip to Amsterdam and after a much debated and closely run vote, the Brussels Marathon (and half marathon) was selected for the 2015 Marathon Tour. What this smaller city marathon lacks in crowd support and PB potential (it’s a hilly course) is made up for by the convenient location, strong beer and plentiful chocolate. Our second international marathon and half marathon tour have come to an end and I ‎would like to thank the 28 Harriers who made it so successful. Also thanks goes to our supporters, those in person and those virtually via ‎Facebook with lots of likes and postings, I hope you have all enjoyed them and of course the photos! Even though the course was flat, it was windy and very narrow in places, and the organisation could have been better at the start and at the drinks stations. For some this was a tough course, but the rest had a good run and there were lots of achievements! For the marathon first Harrier home in a sub 3:10 was James Absolon and only a minute behind was Ed Steele in a PB time, followed by Craig Chapman to make up the first three. For the ladies first home was Nicola Morris in yet another great PB time, definitely her year, followed by Carol Tsang, the marathon virgin so a PB and then Maddy Doherty. For the half marathon, Jillian Holford was first home in a PB 1:40 followed by Cathy Rawling and then the men, Eric and John Rawlings. As the saying goes what happens on tour stays on tour (well not everything), so if you have enjoyed what you have seen, heard and accomplished, maybe we can do this all again next year. 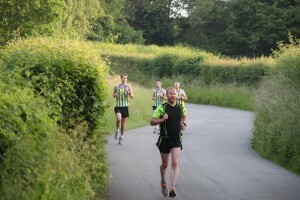 Harriers run in “record breaking” marathon! 15 Harriers went on the first international marathon tour and took on the renowned flat and record breaking marathon course at Berlin. The race was won by Wilson Kipsang (Kenya) in a new world record time of 2:03:23. The Harriers, some running their first marathon did the club proud producing their own impressive times including Guy Jenner’s imppressive 14th Brit home!